1. 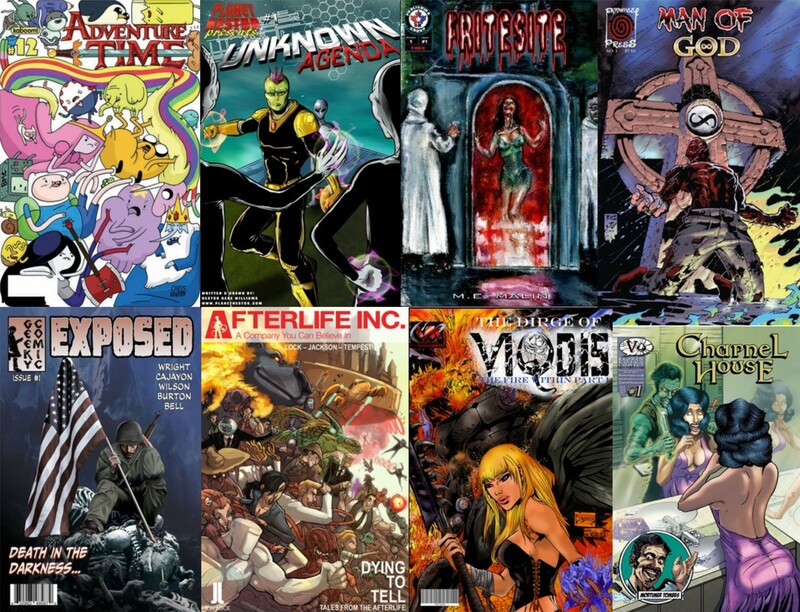 Hello there, and welcome to the Mind Meld here at IndieComiX! For those who may not know of you and your respective works, could you tell us a bit about yourself? 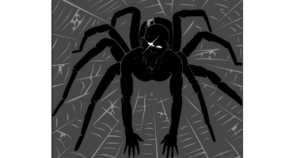 I’m an author and comic writer. 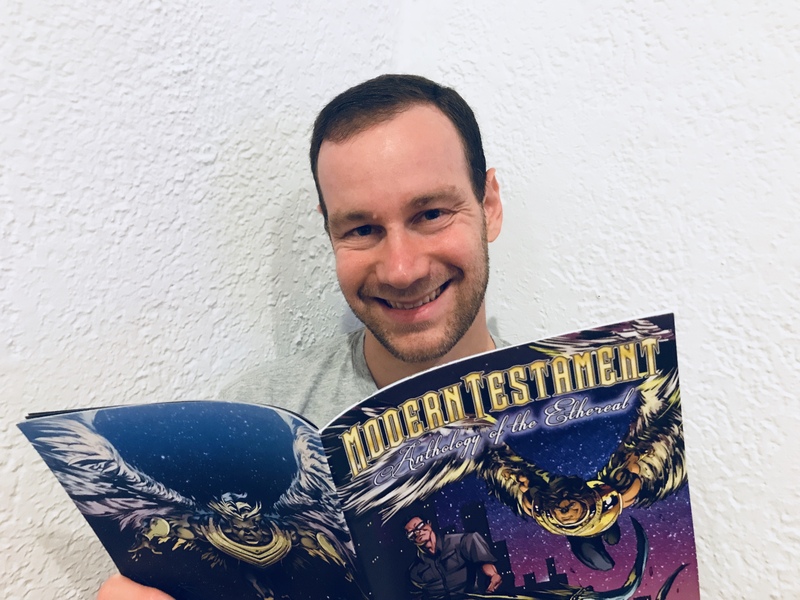 I’ve written several novels and a trade for my main comic series, Modern Testament, was recently funded on Kickstarter. You can find more about my work at www.frankthewriter.com. 2. 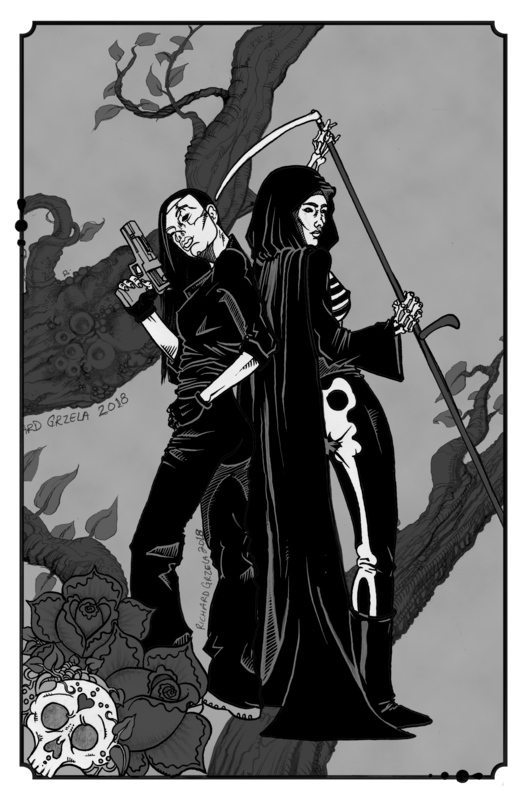 Crossovers in Indie Comics aren’t something one sees that often (unless I’m just not paying enough attention that is) and yet, you and Luke Cooper chose to crossover Modern Testament and Hollow Girl. Who approached who about doing the idea? 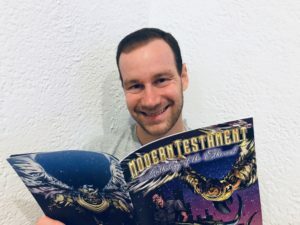 I was thinking about ways to expand upon Modern Testament. I wanted to do something new, and the concept of a series containing self contained stories is perfect for a crossover. A character can appear, take care of business, and be done without it affecting their canon. 3. 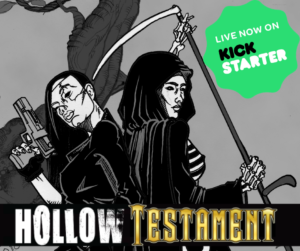 Provided Hollow Testament is a success, will there be more crossovers between you two? Or perhaps collaborative efforts in other projects? I’m not sure about Hollow Testament’s future, but there are more “Modern Crossovers” planned down the line with other creators’ series. Hollow Girl and the Biblical Cain! 4. How much of a wild ride can fans of your respective works expect to be in for where Hollow Testament is concerned? The biblical beings featured here are pretty epic and definitely characters you wouldn’t find in a normal Hollow Girl story. There will be crazy fights and revelations. But that’s what non-canonical stories are for! 5. 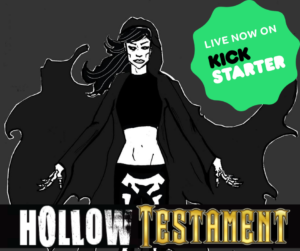 Will Katherine end up meeting the likes of God or any other Biblical being that was seen in Modern Testament during Hollow Testament? I’m not going to rule anything out, although if Hollow Girl does meet a character that appeared in a previous Modern Testament story it will probably be an entirely different incarnation. Not the same one we already depicted. 6. Has working together on this crossover caused you both and Luke to work a lot more then what you normally would have on a project? Or is it about the same? I would say it’s about the same. Luke handled his story pretty much on his own and I wrote my story while working with artists to develop it. 7. As it appears Hollow Testament is a graphic novel, why this path and not say, a mini-series? We didn’t want to force the issue. We came up with three strong stories we were happy with. Trying to stretch and expand the stories into something longer than what they were supposed to be would’ve diluted the process. This was a fun creation and you know what they say about to much of a good thing. 8. 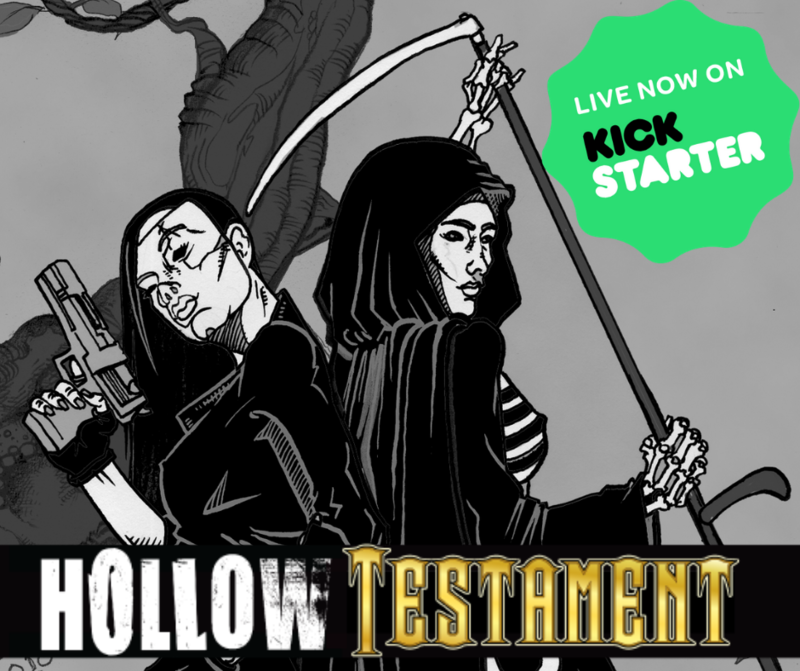 Most Kickstarters tend to be rather high in their funding goals, but Hollow Testament only goes up to 700 dollars for its end goal, what was a factor in that happening? 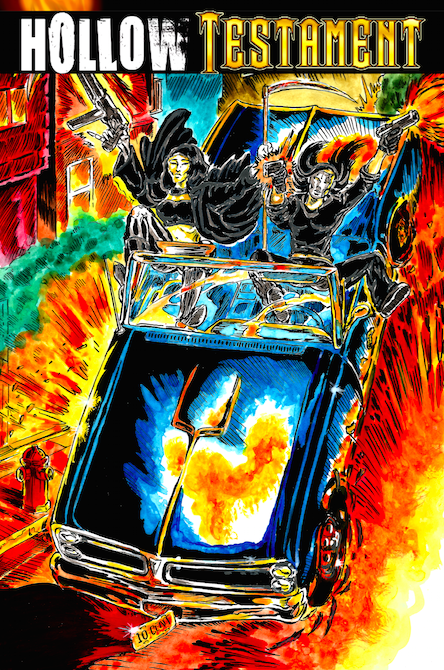 Our main concern was printing, so we wanted just enough to fund a print run. Having the book in black and white definitely helped with the expenses as well. 9. What do you two hope fans will get out of this crossover experience? characters to challenge what she stands for and who she represents. And I think we accomplished that. 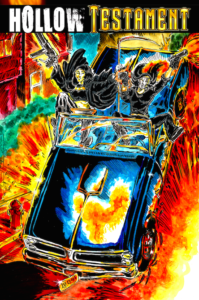 Editor’s Note: Many thanks to Frank for being able to take part in this interview! Luke Cooper was unable to take part due to time constraints but perhaps next time! 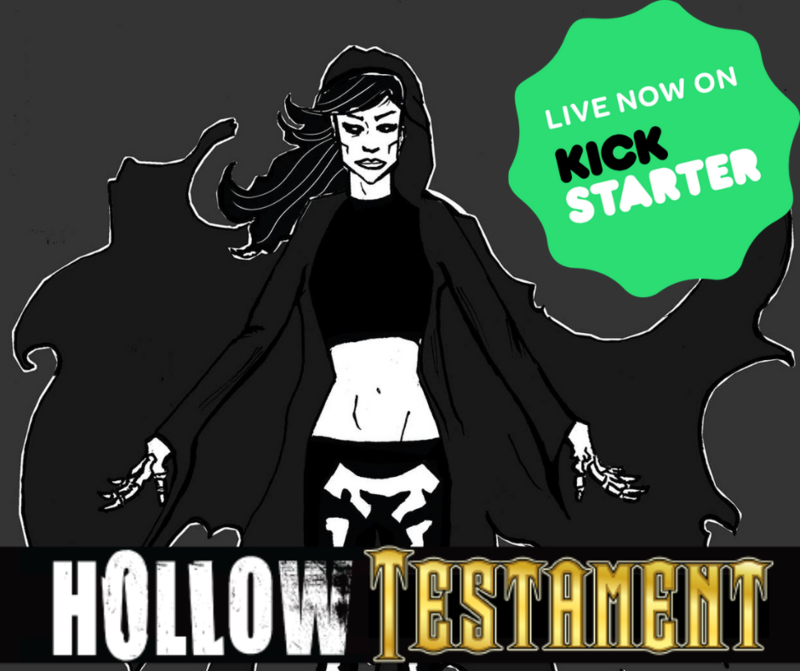 Hollow Testament is currently at 1,196 dollars of its 700 dollar goal with 4 days left to go!